#EventAlert Ambience Carnival - CHOMP! SLURRP! BURP! 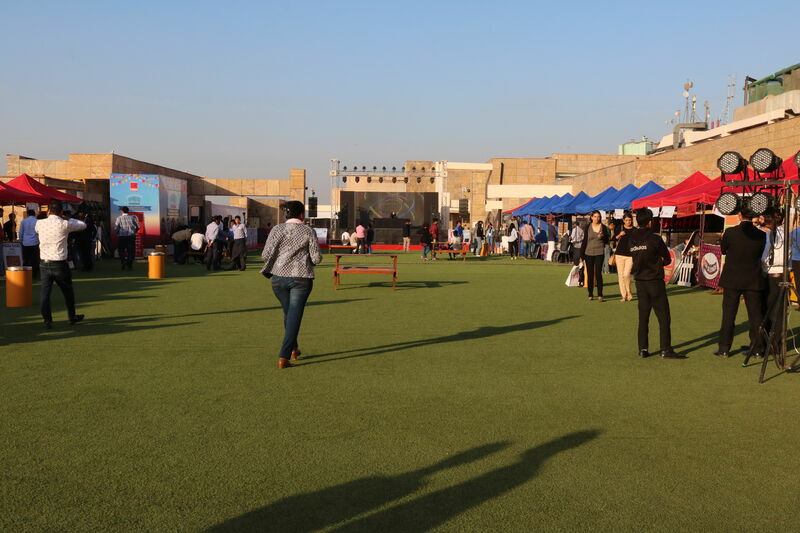 Ambience mall brings to you a first if its kind three day ‘Ambience Carnival’ at Vasant Kunj with a tantalizing food platter organised by Grub Fest, grooving live performances and loads to shop from at the flea market. The Carnival is bound to leave you star struck with performances by Guru Randhawa, Fazil Puria, Tatava K, Nina Shah & Mallika Haydon, Hari & Sukhmani to name just a few. The resident DJ’s, clown and artist entertainment activities will keep you pepped. 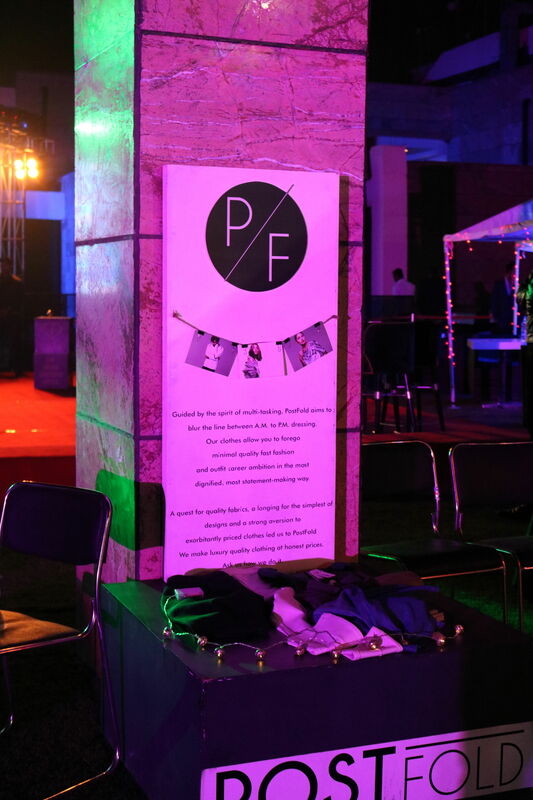 A huge flea market is being organised with the AM/PM brand PostFold being their official fashion partners. 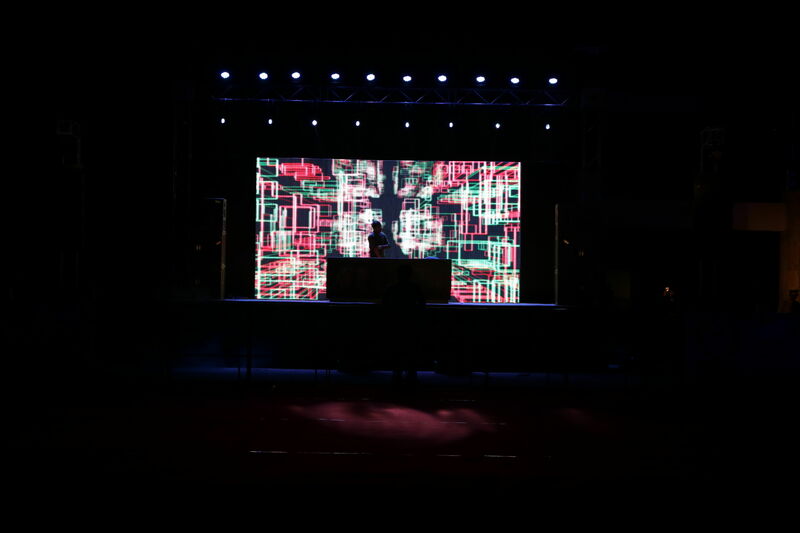 So I visited the festival today and its totally worth the hype, it was a fantastic evening for EDM lovers.Nina Shah & Malika Haydon played tracks which made the crowd Ecstatic! While the music was playing, I shopped for cufflinks from A Bit of Me, and saw quirky designs at KeepCalmDesi.in, Also do check of PostFold as they are offering a 60% off on their stall. 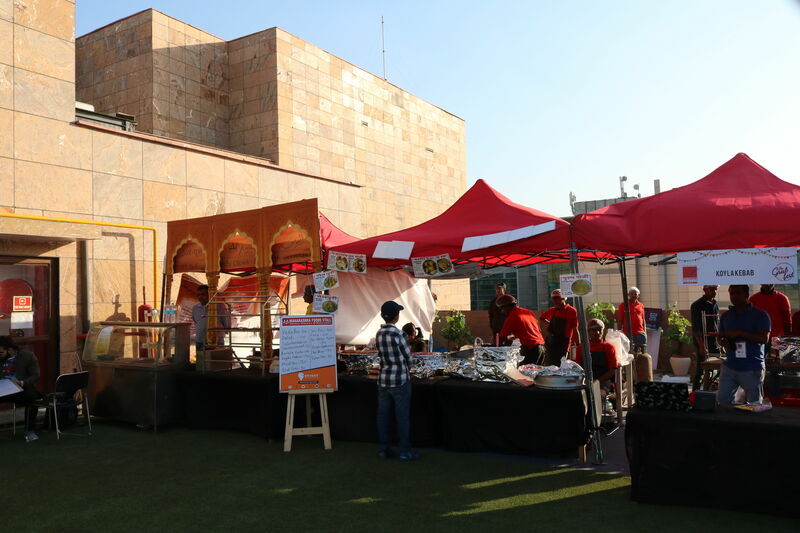 Who doesn’t like to enjoy food when shopping and dancing to the electrostatic music, Gorging at Koyla Kebab is a must as this place serves the most succulent Galouti & Kakori Kebabs. Then what about some pizzas, pastas and sandwiches, So this one is a new outlet in Meherchand Market Lodhi Colony that set up a stall here, CJ’s Fresh! Tried two things from them, Wise Guy sandwich in Focaccia bread and Sicilian Chipotle Chicken Pizza. 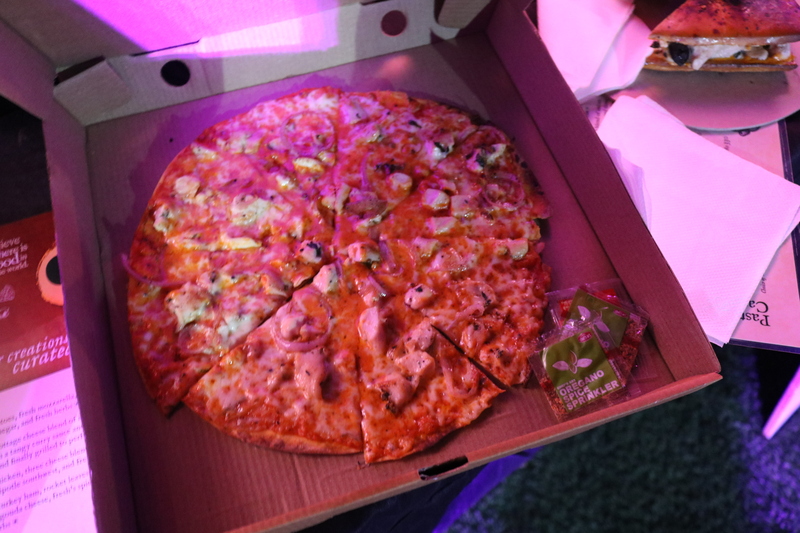 The pizza was really good, oodles of cheese with a thin base crispy from the edges and soft interiors with chunks of chicken in chipotle sauce and onions. Chipotle sauce isn’t very fiery so this one was almost perfect, all I feel that they could all more toppings to it! 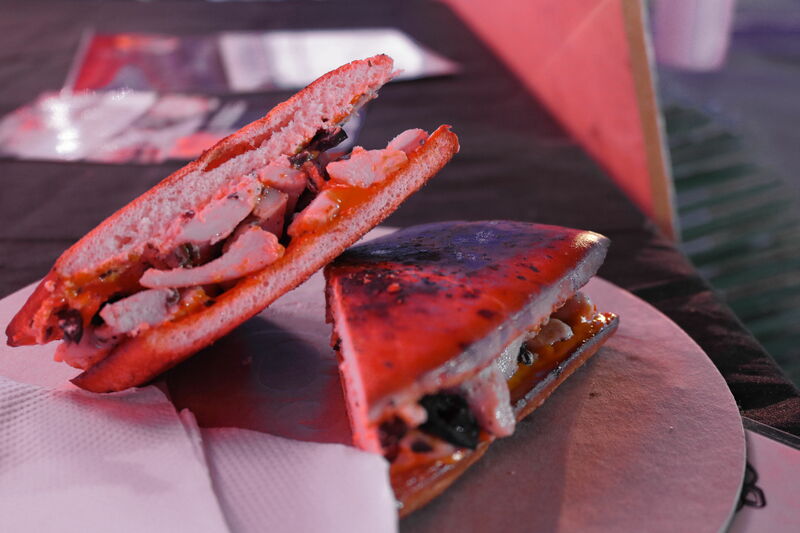 The filling of Wise Guy sandwich was great, Grilled Chicken and black olives on half grilled 3 cheese bread and again grilled, the bread was slightly disappointing, after taking it out from the oven it lost its softness completely. So Overall this place is good and I would definitely recommend it! 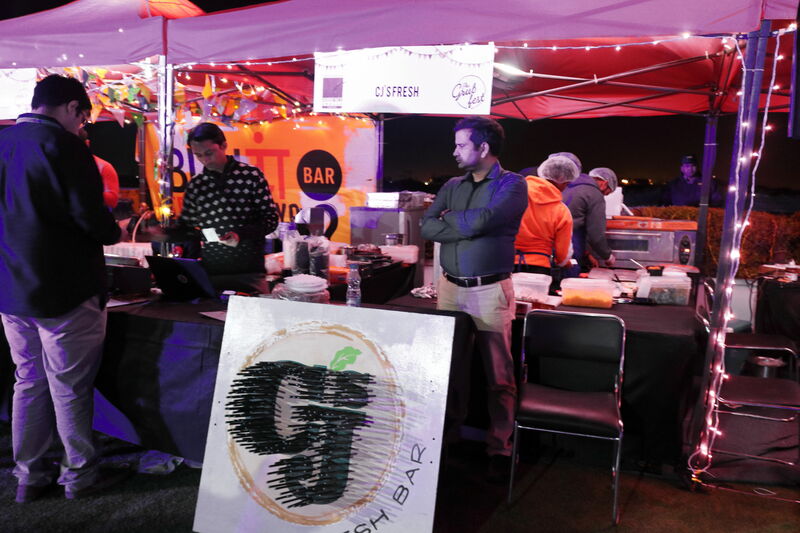 Oh and many brands will remind you of Grub Fest, and yes that’s true, this is brought to you my grub fest only, so you can expect the popular brands serving their finest! So last but not the least Oh So Stoned, this brand has made it’s mark on the stone cold slab ice creams and they are heavenly, Rich Creamy and perfectly blended. 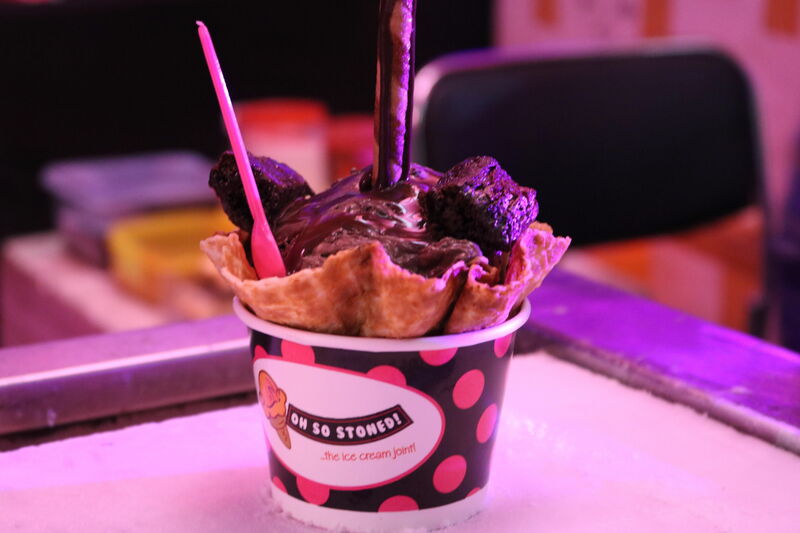 Order the Brownie Delight for 200/- only and you wont be disappointed. This was all about Day 1, Day 2 and Day 3 are going to be even more exciting with Suryansh Project, Hari & Sukhmani and TATVA K performing!